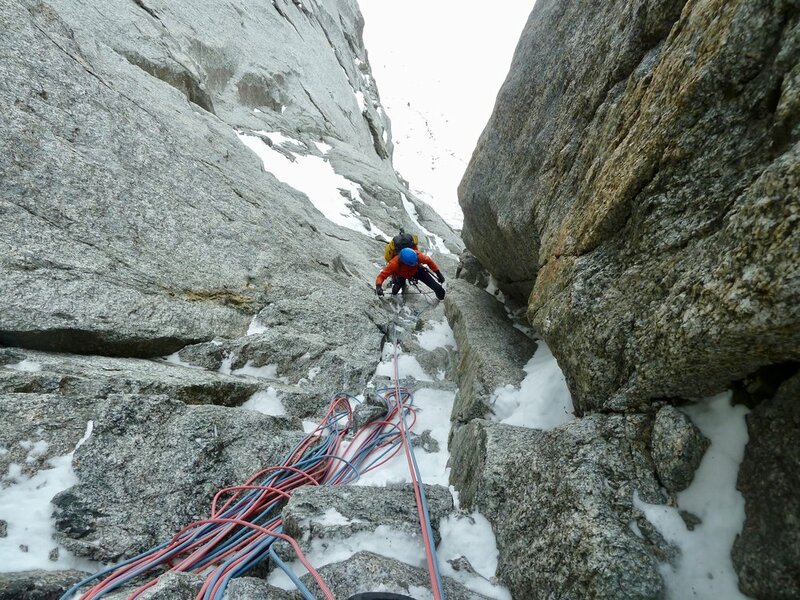 In March 2017, Kim Ladiges and I climbed the Leseuer Route on the north face of Le Drus. With another year of dry conditions, we returned to the famously pointy (and disintegrating) mountain. We climbed onsight and free, aiming for ‘in a day,’ but took bivy kit because it seemed like a good idea. We were pretty grateful for the kit when we bivied a pitch below entering the Dru Couloir, reaching the summit on the second day.